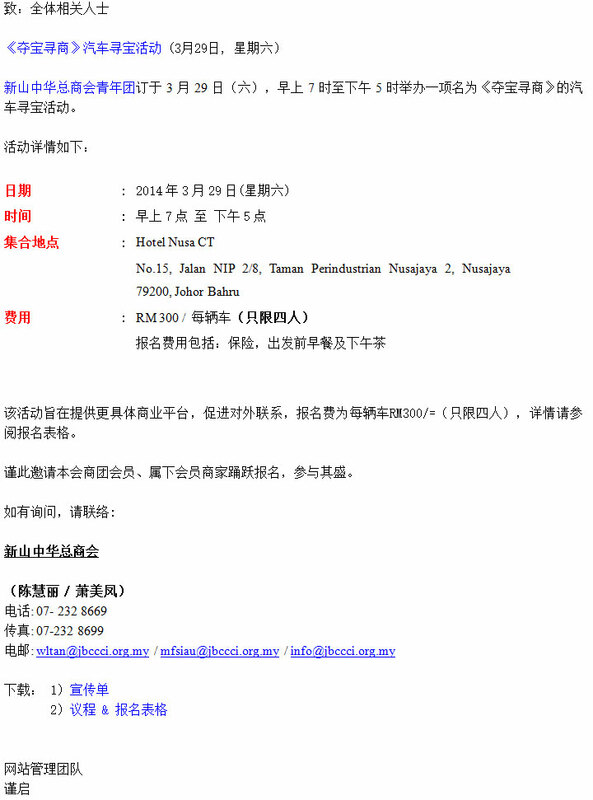 Johor Bahru Chinese Chamber of Commerce and Industry (JBCCCI) will be organizing a Treasure Hunt event on 29th March, 2014. The objective of the event is to provide more specific commercial or business networking platform, and also to facilitate outreach and external business links. Kindly review the attachment for more information.